"Prince of Persia" was apparently based on an older video game, and some of the action scenes indeed seem to mimic that style - you almost felt as if you were playing a character in a video game. "Prince of Persia," in fact, might just be the perfect summer movie - high on action (for the guys), featuring the attractive Jake Gyllenhaal (for the girls), and coming off as interesting but also a little fluffy. The perfect mix for a chill-out summer movie. Prince Dastan (Jake Gyllenhaal, "Brothers") was adopted by the king when he was an orphan in the streets, and he has two brothers (blood heirs to the throne) and an uncle (Ben Kingsley, "Shutter Island"). When he and his brothers conquer the nearby holy city, his father is given a sacred cloak, which we soon find out is poisoned; the father thrashes violently after he puts the cloak on, and dies shortly thereafter. Since Dastan gave him the cloak, he is immediately assumed to be a traitor, and soon he is running for his life. Before this, Dastan met the Princess Tamina (Gemma Arterton, "Clash of the Titans") of the holy city, who was supposed to marry his brother, and she serves as his accomplice to escape the city and the reward that is now being offered for his return. Tamina was formerly in possession of a dagger that can turn back time, and since Dastan now possesses it, Tamina wants to get it back. The dagger can be used for good, but also for evil if put in the wrong hands; Tamina is concerned with getting the dagger to a safe place. It's hard to summarize this movie because it has so many plot turns, and since it's a fantasy movie there is a lot of stuff in it that may seem absurd. The movie can basically be summed up with this sentence: "Who has the dagger now, and what are they going to do with it?". Jake Gyllenhaal, Ben Kingsley, and Gemma Arterton all give superb performances in their roles, and it looks like Gyllenhaal had to bulk up quite a bit to play the agile and muscular Prince Dastan. In addition, Alfred Molina ("An Education") has a guest role as a crazy sheik who hates paying taxes and loves racing ostriches, which provides much comedic relief from all the action scenes. 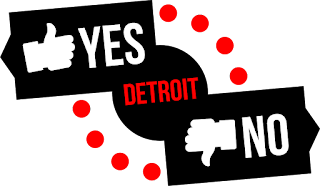 I would say Yes, see this movie. The action scenes in the movie were enthralling, and the dialogue kept the movie going and was often funny and fresh. 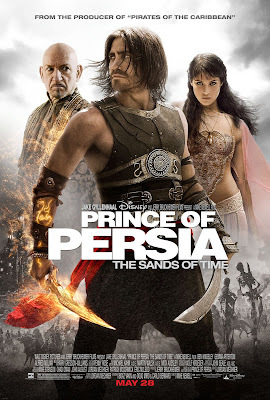 The plot in "Prince of Persia" was interesting as well, and although the movie is about two hours long, I barely checked my watch during it - always a sign of a good movie. "Prince of Persia: The Sands of Time" arrives in theaters on May 28th.